Last Saturday the boys and I were invited to try out some of their food at their SM Aura branch. We got there around 6:30 PM, so there weren't much people yet. But we were just in time for dinner. We were lucky to be seated in a nice spot. 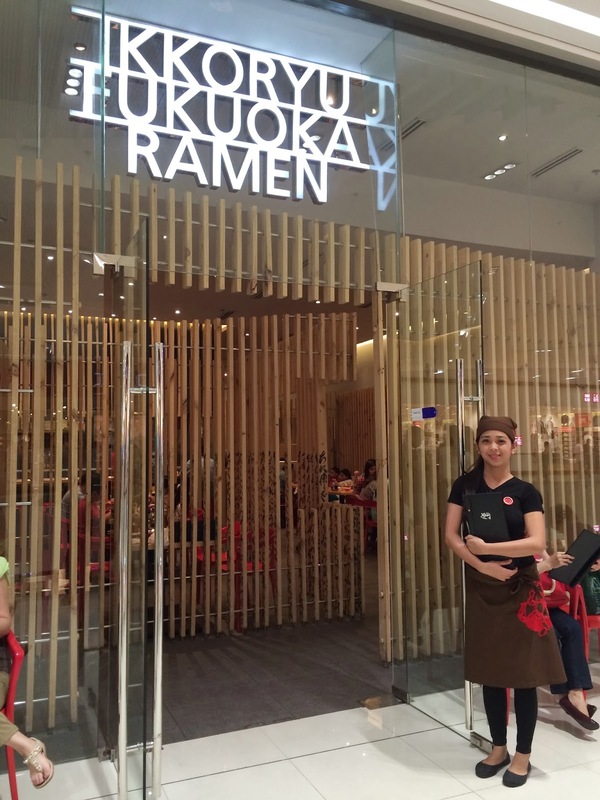 If you're not yet familiar with Ikkoryu Fukuoka, it's a resto that specializes in Tonkotsu ramen, a very popular regional style of ramen, is a specialty of its origin Kyushu region in Japan. Oh and just some fast facts; Not to be mistaken, Tonkotsu for Tonkatsu, the latter is your deep-friend pork cutlet while Tonkotsu is actually pork bone broth, which is simmered for 12 hours. Did you know that Ramen is a Japanese staple and considered soul food by young and old alike in Japan and across the world? 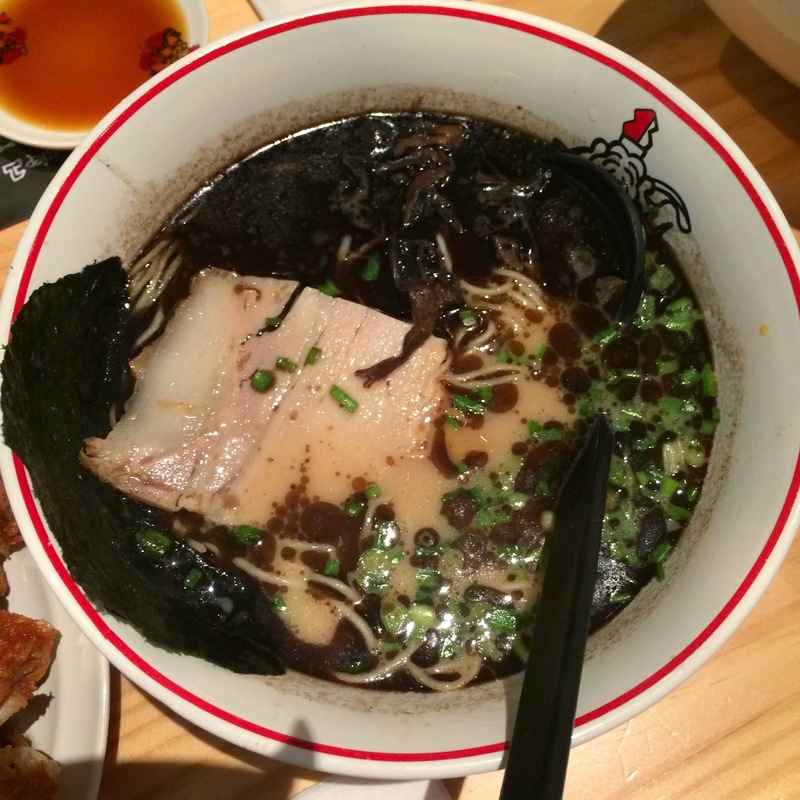 Once ramen is served, inhale rich aroma of tonkotsu soup wafting out from the bow. It must be the most appetising moment! Gently scoop up soup with spoon and take a first sip. Pause and take a moment to enjoy truly indulgent taste of tonkotsu soup. Let's start tasting noodle. 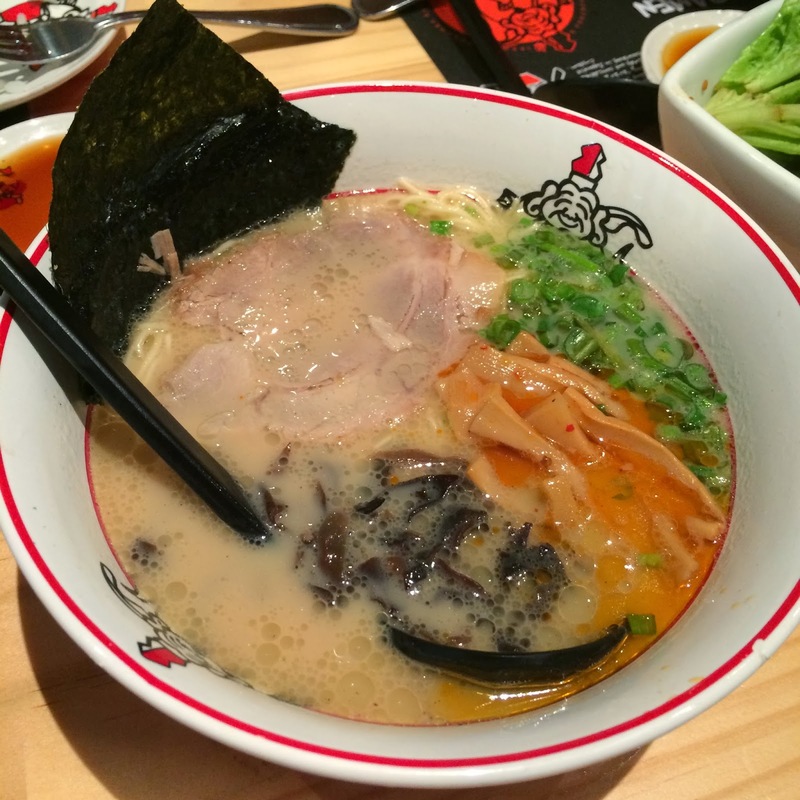 Fully dip the noodles into tonkotsu soup, and slurp it up! Noise of slurping "zu zu zu…." sounds are considered courteous in Japanese custom. For a more authentic CHIKUHO local way of eating, lightly powder grained sesame seeds and/or add a little red ginger pickles into soup. This finely spices up a bowl to make the experience even more exquisite. After finishing the noodles, put rice into soup to enjoy the last pleasurable drops of the soup. 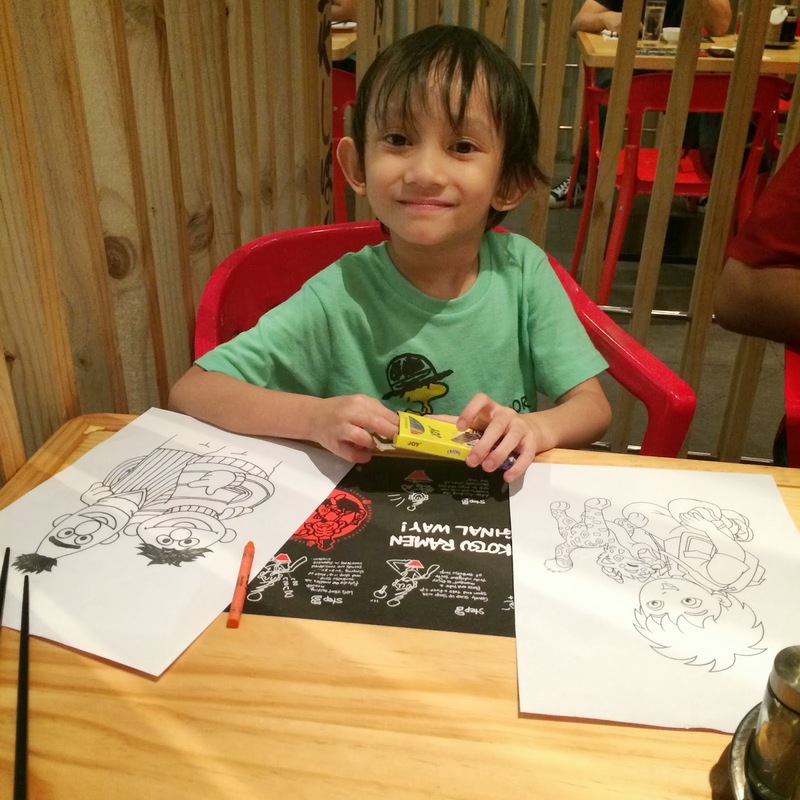 If you're wondering whether to bring your kids to Ikkoryu Fukouka Ramen, I'm already suggesting that you do, because they have other kinds of food that your toddler will love and colouring materials to keep them entertained throughout the meal. This is so good! It has lettuce, cherry tomatoes, pork and the crispy part you see on top is actually the same material they use when they cook noodles. Cool, right? And to complete this is my favourite Japanese salad dressing of all time; Sesame dressing. It come in 6 pieces for every order and it was juicy and I like how the minced pork with chives doesn't fall off with every bite. It remains intact. 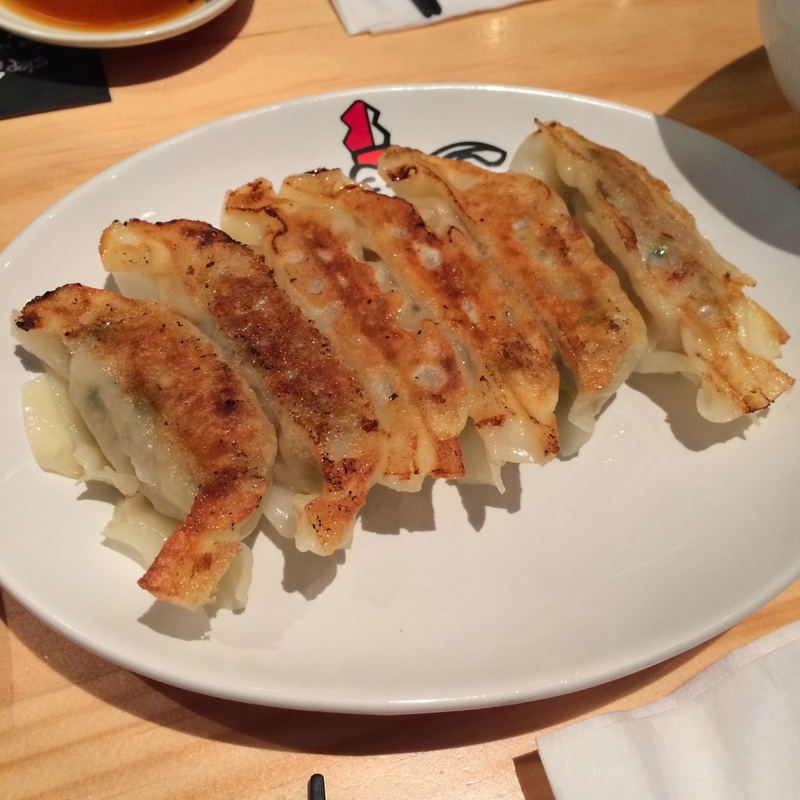 Dip this with their Gyoza sauce and it's sure a match made in heaven. Why wouldn't it be? They made everything from scratch! Even the wrap. This was a family favourite! 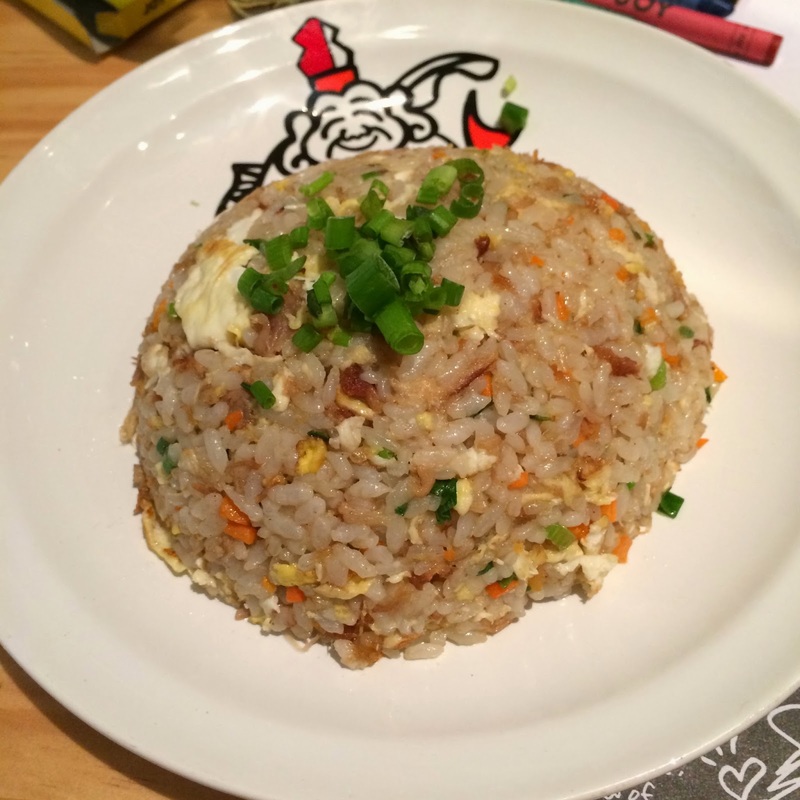 All of us loved this plate of fried rice. When I had my first bite of this, I knew I just had to have some more. It's so flavourful that I think it can standalone. I can practically eat it without any side dish. So if you're not a big eater or if you have a picky eater like my son Athan, maybe you can get this and if you want something with it, I suggest the next food I'm going to show you. And now for the main course! Ramen time!!! 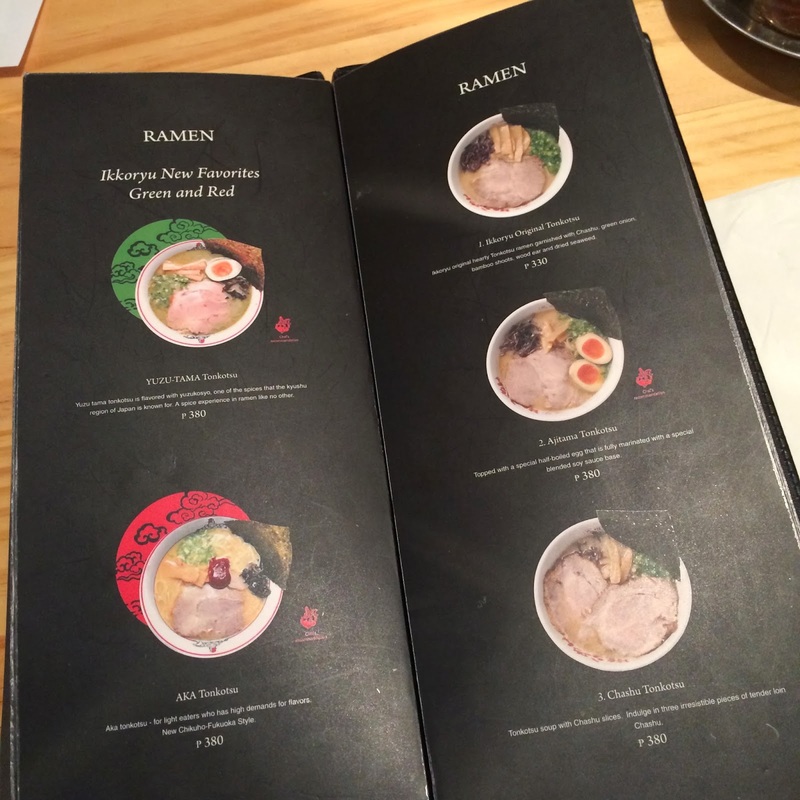 Ikkoryu's serves ramen at a medium size bowl, because they believe that no one can actually finish two bowls in one sitting. The soup and noodles are quite heavy already. But if you want more, you can simply add more soup. 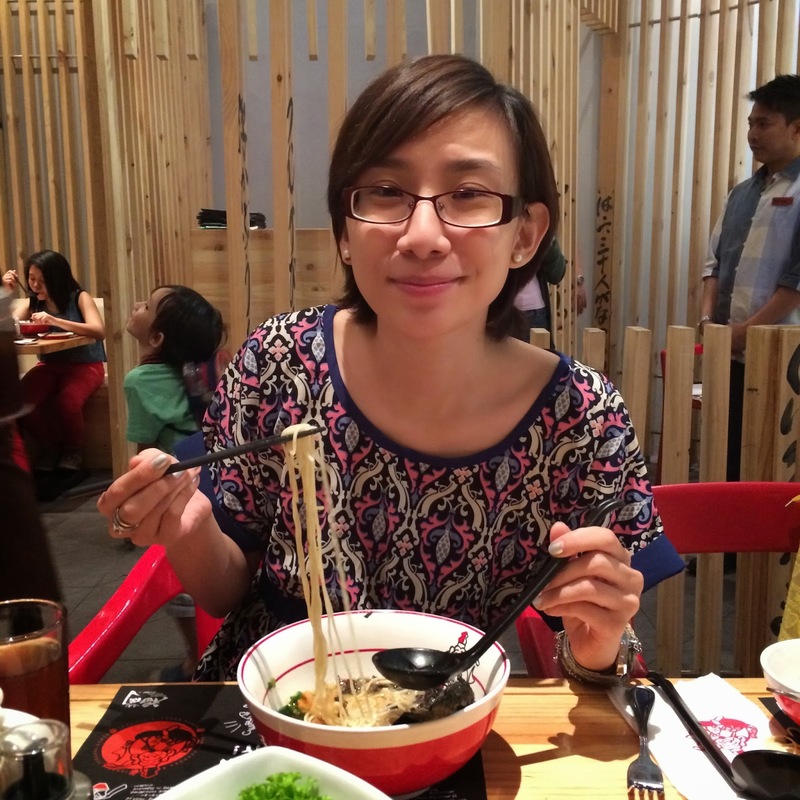 Aside from that, when eating your ramen, it is not recommended that you split it into two or more servings. The quality of the ramen just wouldn't be the same. Best to enjoy your medium sized bowl-- solo! Ikkoryu is the first ramen place that I encountered, which asks your noodle preference- soft, normal, hard or very hard. The first one that we got to try was this black concoction. This is Tonkotsu mixed with special roast garlic oil. Now, don't fret at the sight of garlic. 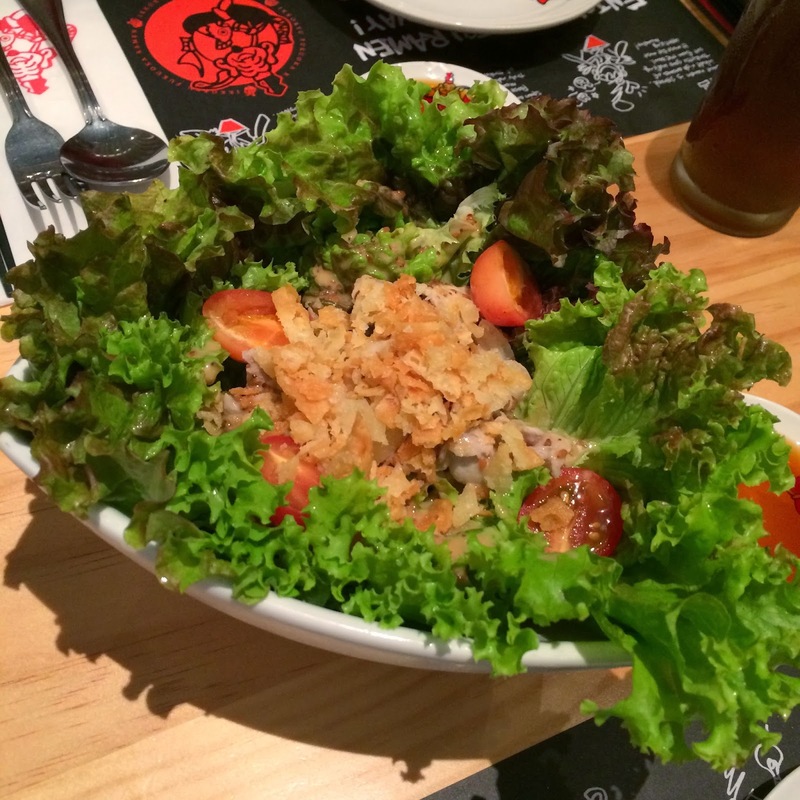 It has a strong flavour but after eating this, we didn't leave the resto with garlicky breath. So be sure to try this best seller out! If you want some kick into your ramen, try this out. Yuzu-Tama is flavoured with yuzukosyo, one of the spices that the kyushu region of Japan is known for. 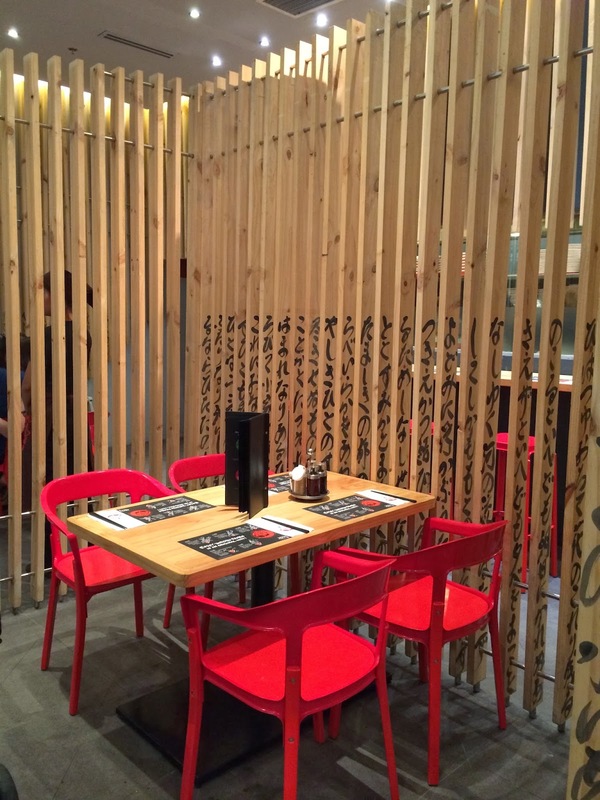 A spice experience in ramen like no other. 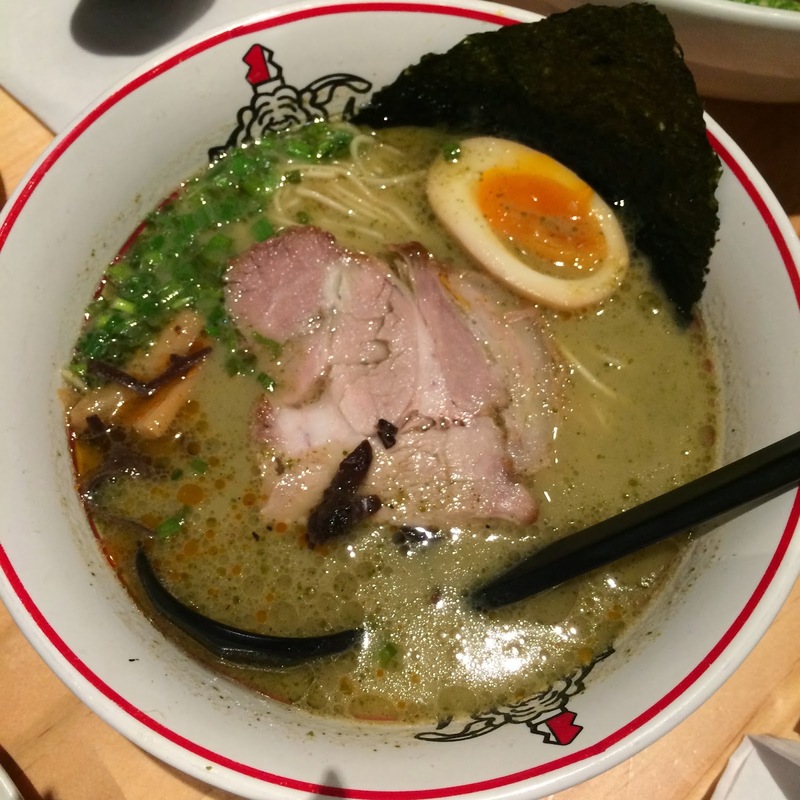 It is also served with Chashu (pork slice), green onion, and ajitama (soft boiled egg). It has a really rich taste to it. This is my favourite! 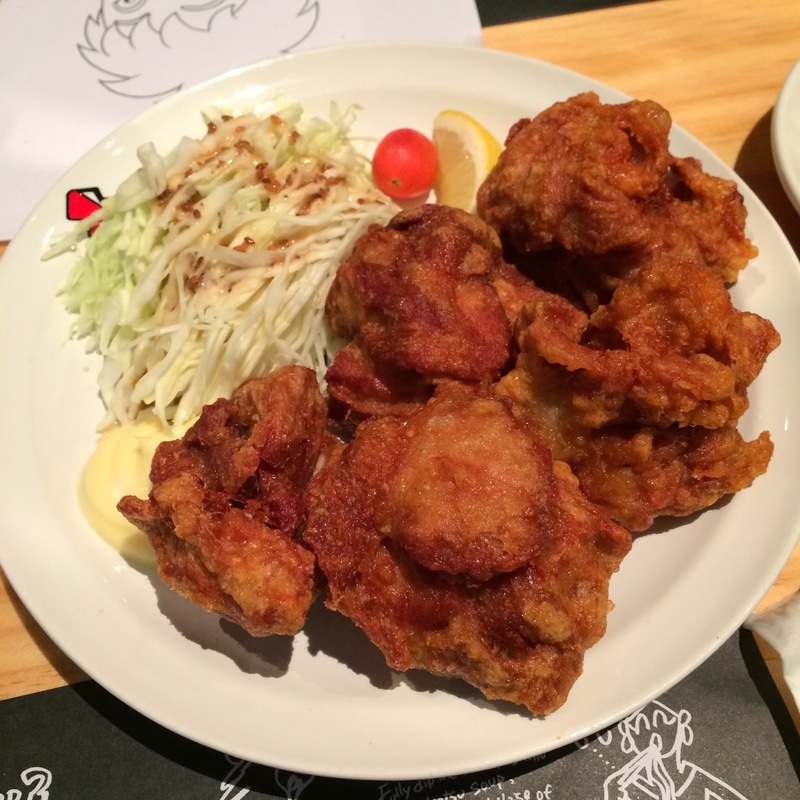 Would you believe I never tried Ajitama until Ikkoryu? I was just scared at sight of it…it looked so foreign to me. But in the name of food tasting, I braved it! Oh and what a good decision that was! I'm currently craving for it now! It has a soft texture with a subtle sweet taste. Love it! 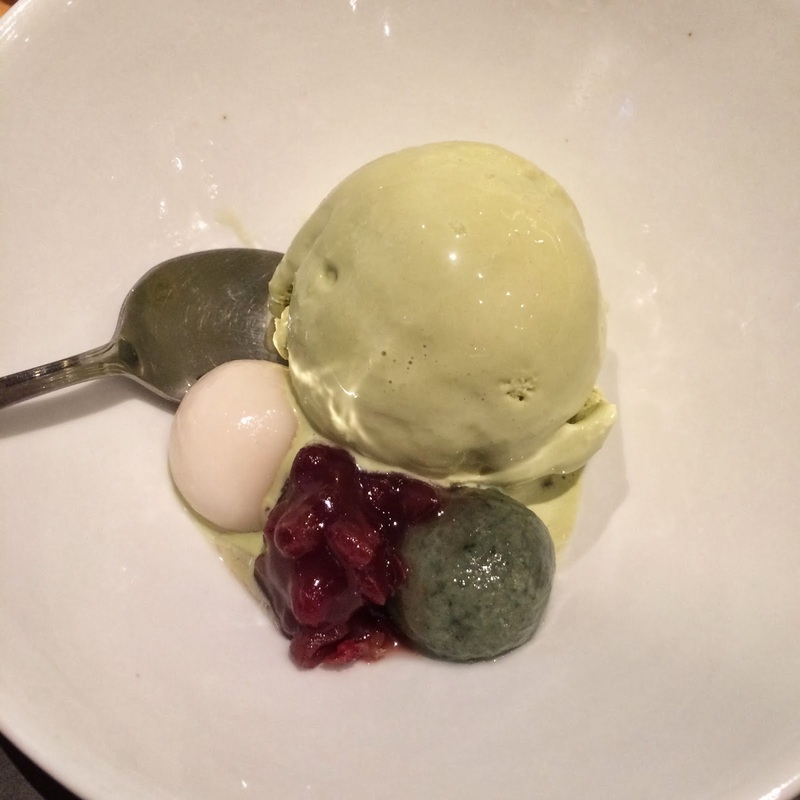 And for a little palette cleanser, you should try out their yummy desserts. I now have a favourite ramen place! And despite it being a bit pricey, I'm sure to get my moneys worth, because of the delicious and quality of food and service that I'm getting. I enjoyed all of my freshly made meal. Thank you, Ikkoryu! OH EMMMM!! Everything looks good!! Bring me there please.